Martin Scorsese continues to get some of his long-standing pet projects out of his system. 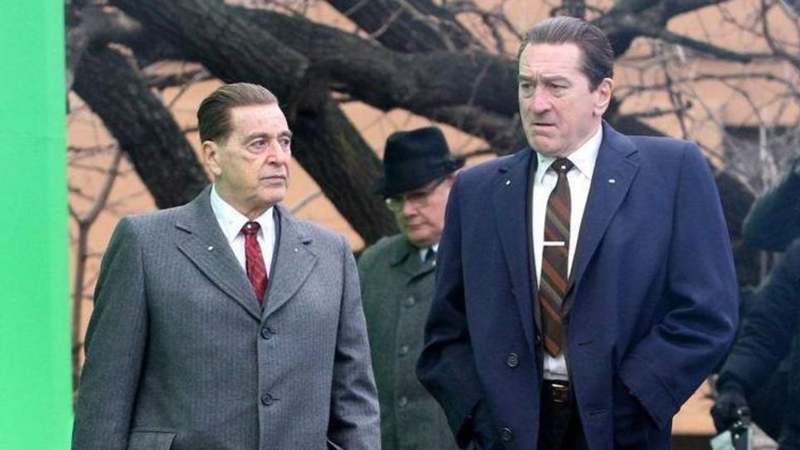 The latest is the long-talked-about The Irishman, which Netflix rescued from out of movie limbo nearly two years ago. And since then the question has been if/when the film would actually arrive, especially with Scorsese working with complicated de-aging technology that has caused delays and soared the budget to a reported $175M. Not a good look. “It’s coming out in October…I didn’t sleep for the first week leading up to the [first] scene, because I knew it would be with De Niro and Pesci. When I went in there, I told myself that I’m not speaking to nobody. I’m gonna speak when I’m spoken to. There was a part when they were lighting De Niro and I, we’re standing face to face, and I’m looking straight at him." I wouldn't take this as gospel just yet, although the fall sounds about right. Given all of the money Netflix is throwing at it, we should expect it to get a similar release strategy as Alfonso Cuarson's Roma, and depending on the response a substantial awards campaign. The Irishman is base on the book I Heard You Paint Houses about legendary mob hitman Frank Sheeran, who will be played by Robert De Niro. He's joined by Al Pacino, Joe Pesci, Ray Romano, Harvey Keitel, Anna Paquin, Bobby Cannavale, Jesse Plemons, Jack Huston, and Stephen Graham.